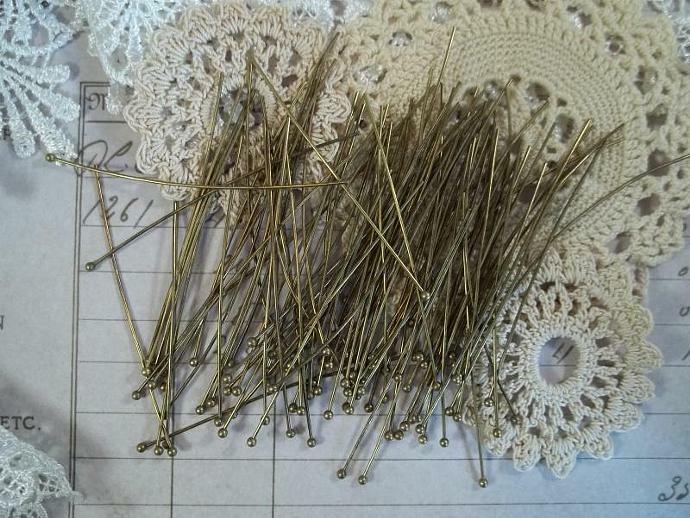 These bronze head pins are great for anyone interested in scrapbooking, mixed media, or jewelry projects. They are excellent for using when creating charms, earrings, necklaces and bracelets, and the ball end adds a little something extra that you don't get with standard head pins. Shipping costs are calculated based on a total shipping weight of less than 500g, otherwise additional shipping charges may apply. Allow an additional 15g for the weight of packaging when calculating the total weight of your package. This additional weight only needs to be added once per order. Please refer to my shipping policies for full details.